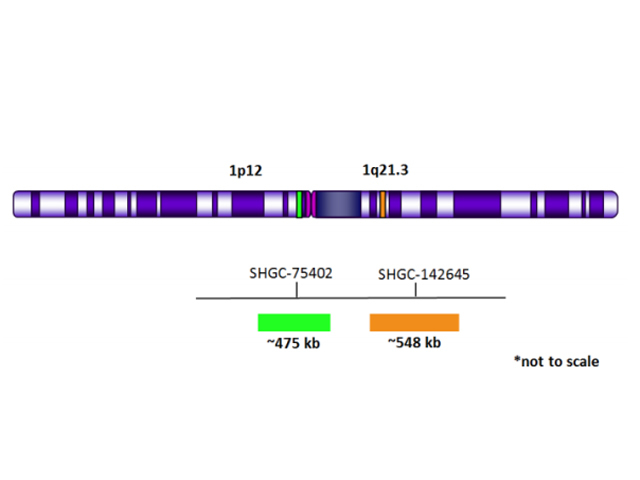 The MDM2 gene is located in the chromosomal region 12q15 and encodes for an E3 ubiquitin ligase which acts as a major negative regulator of the tumor suppressor p531. 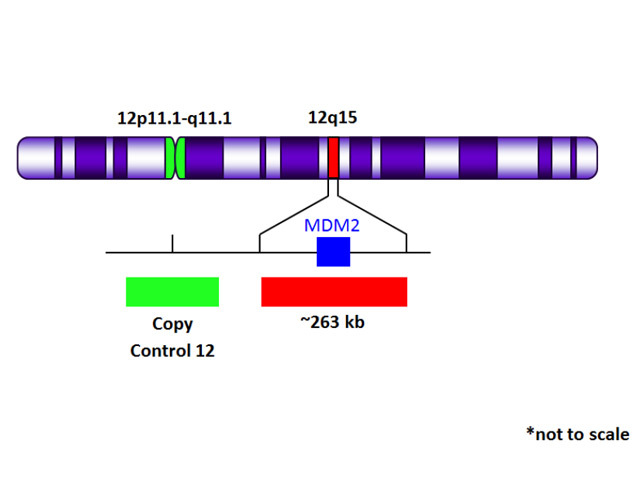 Due to amplification of the respective chromosomal region, MDM2 is overexpressed in many human tumors such as soft tissue sarcomas, osteosarcomas2, gliomas, NSCLC, gastric and breast carcinomas. 1. Dual Roles of MDM2 in the Regulation of p53 Ubiquitination Dependent and Ubiquitination Independent Mechanisms of MDM2 A B MDM2 (12q15) Red + Copy Control 12 Green FISH Probe Control Number: 902-7029-121916 Rev: 012015 Repression of p53 Activity. Dingding Shei and Wei Gu. 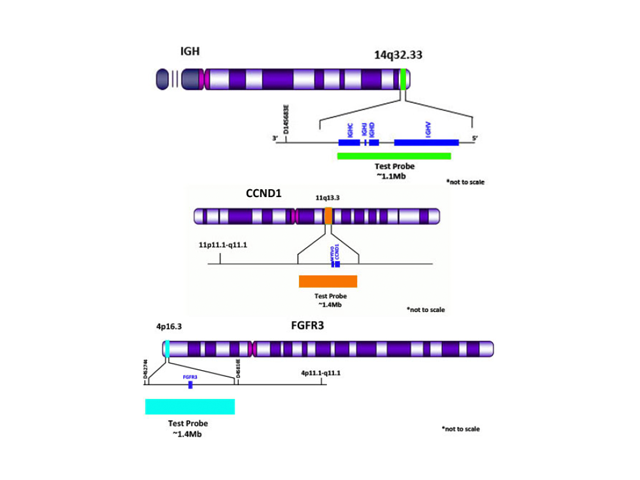 Genes & Cancer March/April 2012 vol. 3 no. 3-4 240-248. 2. The E3 ubiquitin protein ligase MDM2 dictates all-trans retinoic acid-induced osteoblastic differentiation of osteosarcoma cells by modulating the degradation of RARα. M Ying, L Zhang, Q Zhou, X Shao, J Cao, N Zhang, W Li, H Zhu, B Yang and Q He. 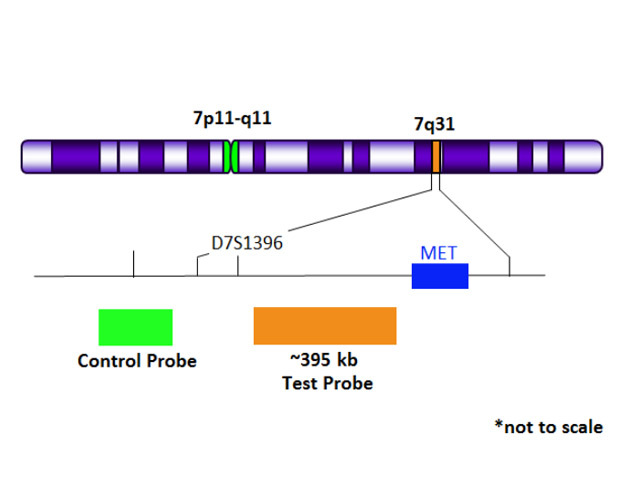 Oncogene , (18 January 2016).